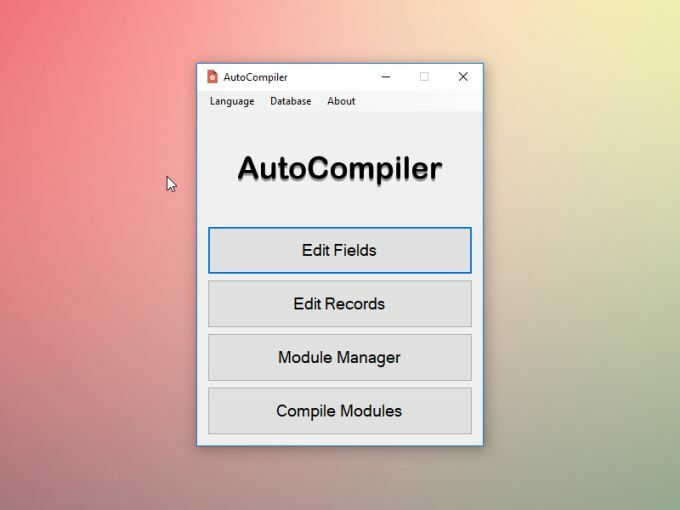 AutoCompiler is a simple and easy software for automatic forms compilation. AutoCompiler is a simple and easy to use software for automatic forms compilation. The software is composed by a set of editors. You can keep in your hard disk a fully customizable database of records. Simultaneously you can import forms to compile and configure them, by specifying the fields you want to use for fill the blank spaces. Once all is configured, you can use the Compile Modules function. You just need to pick a record of your database and select one or more modules to fill. The blank spaces of the form will be filled with data from the record you chose. The result is exported as PDF, ready to be printed! What do you think about AutoCompiler? Do you recommend it? Why?